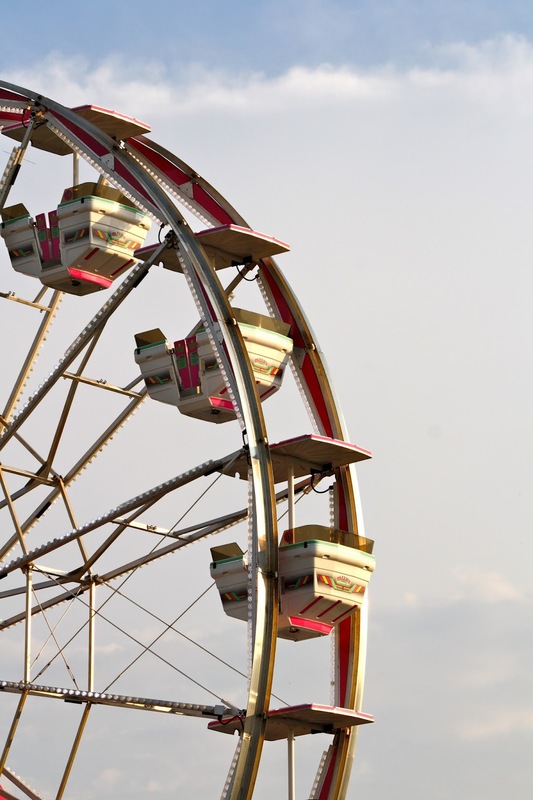 When people ask me how to spell my last name, I always respond with "Ferris, like the wheel". And then I have to actually spell it, because very few people understand what I mean. As a lifelong lover of amusement parks and carnival rides, I feel pretty lucky to have married into the Ferris - yes, that Ferris - family. 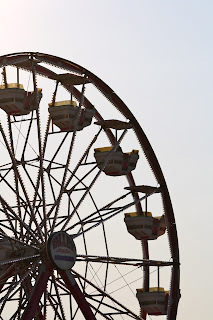 (George Washington Gale Ferris Jr., inventor of the Ferris Wheel, never had children, so while the familial line doesn't run directly to Tom, Will, and Hallie, all three are still his blood relatives.) 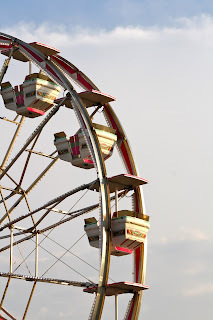 I have Ferris Wheel art, from photos and paintings to metal sculptures and Christmas ornaments, throughout my house, I always choose Ferris Wheel pictures for my Facebook cover photo, and as the kids would say, "we ride a Ferris Wheel every time we see one!"